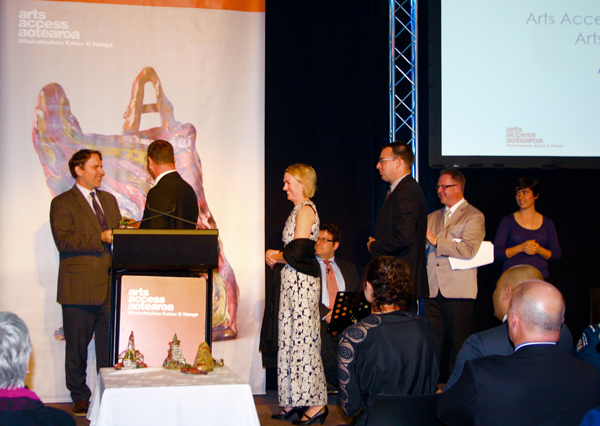 Auckland Live received the Arts Access Creative New Zealand Arts For All Award at the Arts Access Awards 2015, held at Parliament on 1 July. Auckland Live is the Regional Facilities Auckland organisation responsible for live arts and entertainment. Auckland Live runs the programming for The Civic, Auckland Town Hall, Aotea Centre, Aotea Square and Bruce Mason Centre in Takapuna. 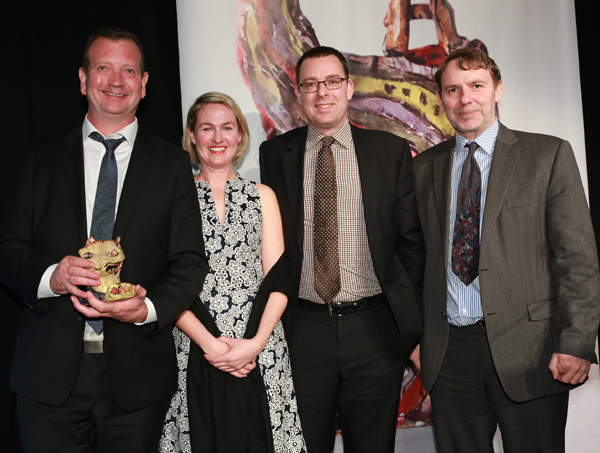 The judging panel described Auckland Live as “a standout group of venues” and said the award acknowledges their “involvement with the community and committment to e-learning opportunities for their staff”. “As the home of live entertainment for Auckland and Aucklanders, we represent and celebrate the coming together of different people, culture and emotions,” Director, Auckland Live, Robbie Macrae says. To make venues accessible, Auckland Live makes use of staff training, venue improvements and sign language interpreted workshops. Since 2013, a wheelchair lift has been installed at the Aotea Centre’s ASB Theatre; wheelchair seating increased in ASB Theatre; accessibility signage added in the ASB Theatre; and the accessible toilet in the Owens Foyer of Aotea Centre refurbished. In 2011, a specific arts access programme was designed, providing audio described and sign language interpreted programmes for blind and Deaf patrons to experience shows. In order to support these initiatives staff are required to have the skills needed to assist patrons with accessibility needs. This is delivered via e-learning. An e-leaning module was created in collaboration with Be. Accessible, Diversity Works, Auckland Live’s Accessibility Programmes Producer and Arts Access Aotearoa. Actors in the module were accessibility patrons, who were involved in shaping the training scenarios. Auckland Live was the first organisation in New Zealand to have accessibility programming of this sort. “It’s important to us that everyone has the opportunity to experience live arts and entertainment and we want to make sure those who have accessibility needs feel confident about visiting us with a full range of services available to meet their needs,” Robbie says. Original generation time 1.5493 seconds. Cache Loaded in: 0.0302 seconds.